Chimney caps keep your home protected from weather and pests. New Age Contractors can inspect the condition of your chimney cap or chase cover and install a new one if necessary. We have experience working with caps and covers of all types and sizes. Having a chimney cap or chase cover is the most affordable preventive measure you can take to prevent water damage to your chimney. Chimney caps and chase covers can also prevent leaves, other debris and animals from getting into your chimney flue and causing expensive damage or hazardous blockages. It's important to have your chimney inspected annually to ensure your chimney cap or chase top is in good condition. Most chase covers that come standard with pre-fabricated fireplaces are made with cheap galvanized sheet metal that rusts and will likely need replacing every 7 to 10 years. 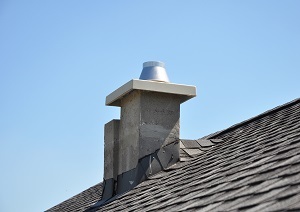 The most popular materials used to construct chimney chase tops are galvanized steel, copper, stainless steel and aluminum. New Age Contractors recommends stainless steel chimney caps and chase covers because of their low cost and excellent durability. Stainless steel is corrosion resistant and nearly rustproof, which means stainless steel chimney caps and covers require almost no maintenance. We offer chimney covers and caps in a variety of sizes and colors and will install a chase top to match the exact specifications of your chimney chase. Water is a chimney's worst enemy. A damaged or deteriorated chimney chase top or chimney cap can lead to serious and expensive water damage. Contact the masonry experts at New Age Contractors today to have your chimney inspected or to get a free estimate for chimney cap replacement in Goose Creek, Ladson, Johns Island, Beaufort, Moncks Corner, North Charleston, Hanahan or nearby.